New to Talk Amongst Yourselves? Jump in and say hello! This is the Graveyard Shift—the after (or during) work, gamer lounge. It’s hosted by Kotaku’s reader-run blog, so feel free to rent some PCs/consoles and join the discussion! When you’re done here, check out the sweet games articles at TAYor free to play games of TAYClassic! Or if this is your first time at TAY, check out this TAYtorial! Hey Tay! Whats going on? Decemberween is a mere week away, and more importantly, the Secret SanTay Day is near! So exciting. Looking over to my bookshelf, I notice one of my favorite short manga series: Dramacon. 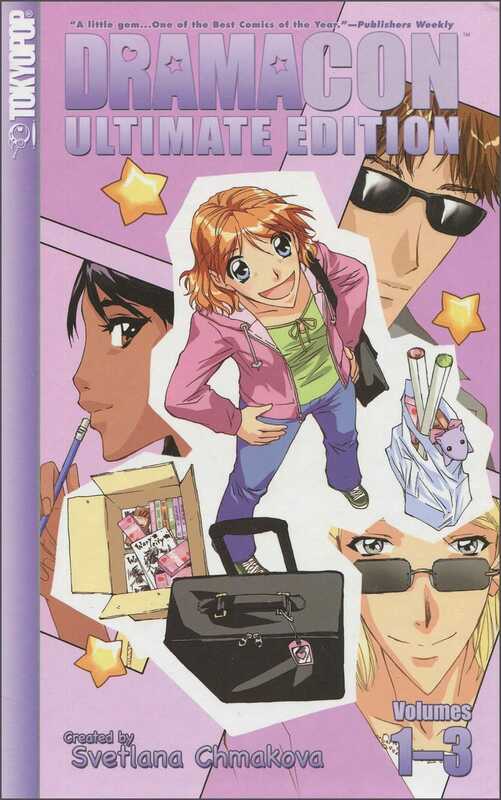 Dramacon is basically a 3 volume original English language manga created by Svetlana Chmakova and Published by Tokyopop. It follows the story of web manga writer Christie as she goes to a anime covention for the first time with some friends (and the next 2 years at the con in the following volumes). As the name would suggest there is much drama, and much convention. It is by far, a mostly spot on sampling of the con life and is just a great story overall. I highly suggest finding the Ultimate edition if you can, it is a larger sized hardcover edition that compiles all 3 volumes, plus an extra after story and some fanarts and things afterward. For tonight’s jam, I’m throwing down a Christmas related song, and one non related one for those who don’t care much for the X-mas music. Don’t forget to visit AniTAY for everything anime, or stop by our Discord Chatroom if you want to PUT THAT COOKIE DOWN! chat with fellow TAYers in real time, And, if you want to talk to an Admin or Author about something and don’t know how to reach them, you can look them up in our digital phone book DirecTAYry.